Opposition and others are still wondering how EVMs could malfunction because of heat at 7am when the temperature is less than 30 degrees. As I learned about the news of mass EVM malfunctioning coming in from the Kairana parliamentary constituency since early morning on May 28, I decided to visit the constituency to find out more about it firsthand. The election had become the centre of attention owing to the high-stakes contest between BJP’s Mriganka Singh and the joint opposition candidate, Tabassum Hasan, representing the Rashtriya Lok Dal (RLD) and backed by the Samajwadi Party (SP), Bahujan Samaj Party (BSP) and the Congress. I took the fastest route via Samalkha on Grand Trunk Road and upon reaching the Uttar Pradesh border after crossing the parched Yamuna River, I saw the UP Police halting vehicles at their checkpost at the border, inspecting the trunks and jotting down the number of vehicles entering Kairana from Haryana. After spending a few minutes at the bustling BJP office bang in the centre of the town and chatting up with the local reporters (the trick is to network with reporters of local channels than the folks from Delhi) to get a pulse of the situation, I decided to visit as many polling booths as I could on the list put out by Opposition candidate Begum Hasan where polling was supposedly interrupted. As I am quite familiar with the topography of the place, having been a regular visitor to the place from 2013, I quickly covered all the four polling stations in the vicinity. Although the six polling booths (numbering 225 to 231 in Kairana) at the polling station in Public Inter College in the town premises were not part of the list put out, I discovered that there was an interruption in voting at 9.40am. To my surprise, I also learned that when polling was halted in one booth inside this station, voting got completely affected in all the other booths as well. To make sure I wasn’t being the fed wrong information, I spoke to as many people as I could, including the policemen on duty; all of them concurred even though the timeframe between the disruption and resumption varied slightly in different accounts. I still haven’t figured out why polling stopped at all booths in a station if the EVM or Voter-Verified Paper Audit Trail (VVPAT) machines malfunctioned in a particular booth. After this, I drove to Bhura village near Kairana when I got information that some altercation between the residents and the police — culminating in a round of firing in the air — had taken place. I saw a huge posse of the UP Police camped there and an agitated crowd of people outside the polling station located in a college. 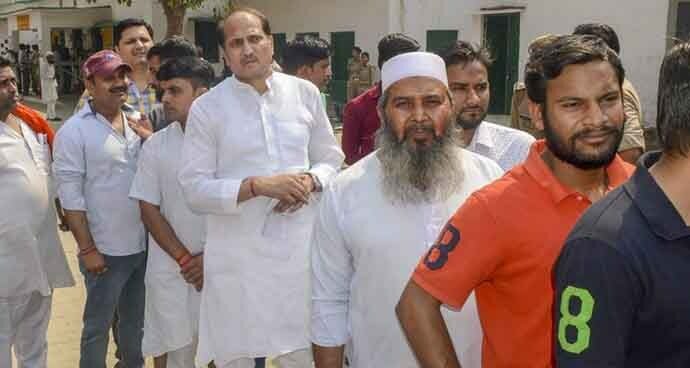 A man had supposedly been seriously injured and was on his way to Shamli while another person showed drops of blood on his white kurta. They also pointed to a damaged charpoy and asked me to film it and show it on TV, assuming I was representing some TV channel. The altercation was the result of some polling official allegedly misbehaving with a woman voter, asking her to reveal her face and grabbing her arm in the process. It is a Gujjar-dominated village and the woman was supposedly covering her face in "ghoonghat". Curiously, the senior police officers refused to admit there was a round of firing and alleged that the men outside were exaggerating the incident. Following that, I decided to cover as many polling booths on the list as I could before the 6pm deadline where EVM malfunctioning had been reported. I started with the stations in Kairana and then proceeded to the booths in Shamli constituency. Every booth that was marked in the list witnessed disruption between 40 minutes and 4 hours, even if there could be slight variations as this information was anecdotal in nature. However, I tried confirming and cross-checking this at every booth from multiple people, including the police officials on duty. Only a couple of booths in the two dozen I managed to cover had a disruption of less than 30 minutes, which should ideally be the delay in such circumstances. I was told the replacement units in some had to be fetched from far-off locations than in the polling booths itself. Back in Kairana by around 6.45pm, I was helping myself to some kebabs at Chariyan Chowk (where, for some reason, the rate of a seekh Kebabs remain Rs 10 a piece since 2013, unaffected by all the inflation) when I got information that BJP candidate Mriganka Singh was back at the BJP office. I rushed to the place to find her surrounded by channel representatives, but got to speak to her exclusively once they were done. Q: What do you think about the allegations of the opposition parties that the EVM glitches have something to do with politics? Mriganka Singh (MS): Well, these are all false allegations and far beyond the truth because I know for myself that hundreds of out supporters have gone back from the polling station after waiting for three hours in the scorching sun and they were unable to cast their vote. Q: The Opposition is charging that they were the first to complain and that you took a long time to finally complain/make a representation to the EC? MS: Well, I was around in villages where there was no network. So, I met the voters and only then I got to know. I could barely manage to make a call to my leaders and to the administration because in those villages there is no network most of the time. Though I heard news of elections in Nakur and Gangoh constituencies (part of the Saharanpur district) being extended beyond 6pm, I decided against going to those parts as it had already become dark. Before I made my way back, I got in touch with a prominent Opposition leader, who agreed to reply to my questions on WhatsApp. He asked how EVMs could malfunction in the heat at 7am when the temperature is less than 30 degrees. Back in Delhi, I also learned that the Election Commission had put out information that 15 to 20 EVMs had been replaced along with 384 VVPAT machines. That would mean more than 25 per cent of the total VVPAT machines in use since there are 1,483 polling booths in the Kairana parliamentary constituency. 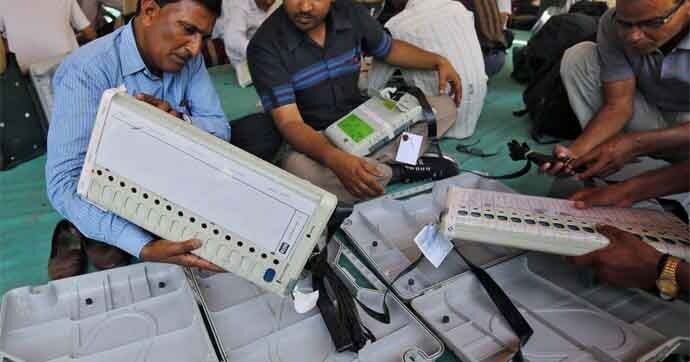 That means EC used up all its replacement machines and a few more (the EC usually keeps 25 per cent replacement machines ready, according to former chief election commissioner SY Quraishi). At the time of writing this piece, EC’s announcement of repolling in 73 booths in Kairana on May 30 was reported. What’s curious is that the repolling will be held mostly in Gangoh and Nakur segments — 44 booths in Gangoh, 23 in Nakur, five in Shamli and one booth in Thana Bhavan constituency is listed. Is it just a coincidence that the demography of these locations appears to favour one party more than the others?